Sue Roger’s playing and exploring chapter has a focus on a socio-cultural approach to play, with a neat summation of treasure baskets, heuristic play and theory of mind. I particularly like the vignette on valuing children’s play on page 50. Here a short observation demonstrates how even the best intentioned adults can, in fact, disrupt play more than support it. In Nancy Stewart’s chapter on active learning, she discusses how motivation and involvement are vital aspects of learning during play. The sections on the adult’s role are pause for thought, especially the use of external motivators. Di Chilvers writes about creating and thinking critically. In her chapter we learn about the language of thinking, imagination, reflection and conversation. 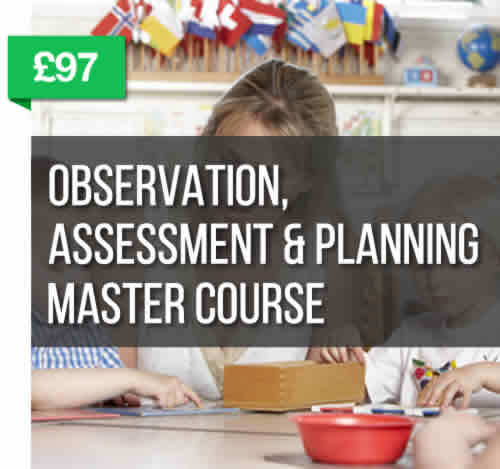 There is a brief section on observation, assessment and planning included here as well. In addition to these three, key elements of the book there are chapters by Helen Moylett, David Whitebread, Judith Stevens, Clare Crowther and Kim Porter. Helen’s initial chapter sets the premise for the book in a clear, concise chapter about the structure and background of the Development Matters framework. 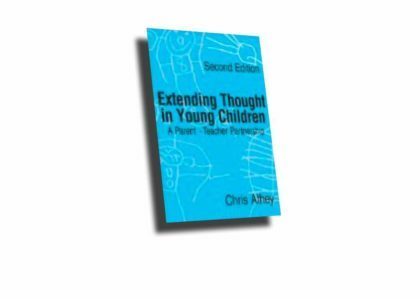 The second Chapter, by David Whitebread, explains about the importance of self-regulation, which is defined here as the combination of metacognition, positive emotional disposition and positive motivational dispositions. There are some really interesting insights, drawing on (amongst others) the classic research of EPPE and David’s own research. A fascinating read. Judith Stevens writes about observation, assessment and planning. 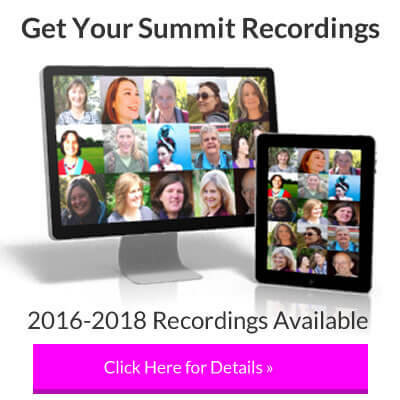 As I am sure you know, this is a topic close to my heart! Judith has included plenty of examples of good observational techniques, the 2 year old progress check, EYFS Profile as well as planning to enhance provision. This is a useful and all inclusive summation of observation, assessment and planning, with a positive perspective. The Chapter by Clare Crowther is from a different angle – that of a learning community in a Norland Nursery and she describes how this was achieved. Although your setting may be very different to a Norland Nursery, there is plenty of transferable advice available here. For example, cultivating creativity, developing a culture of open dialogue and embedding your ethos. The final Chapter by Kim Porter takes us right up into Key Stage 1. This is a fantastic inclusion for a book on Early Years as it tackles some of the more vexing issues, such as school readiness versus life readiness and how the characteristics can be applied to Years 1 and 2. 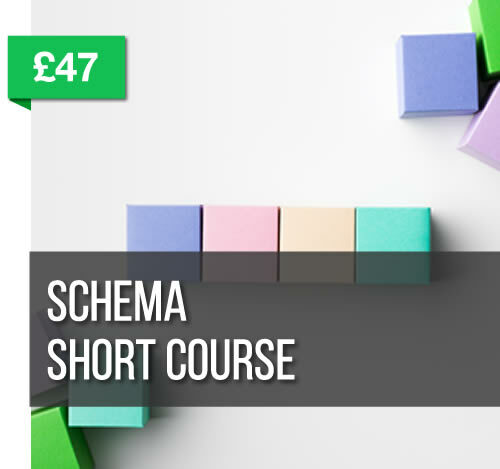 In addition there are two very detailed case studies, which would be as useful for lecturers as well as practitioners. As Kim says about the Characteristics of Effective Early Learning, they ‘can be complementary, not contradictory, to Key Stage 1 provision’. 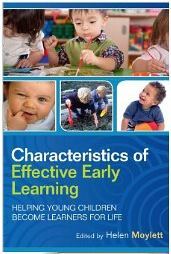 Overall, Helen Moylett has edited a book that has both breadth and depth when examining the Characteristics of Effective Early Learning. There is both confirmation of good practice as well as some new ideas. 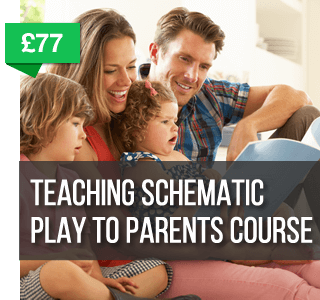 The style is accessible with a focus on the practical implementation, which will make this a very useful book for a wide range of practitioners. I was lucky enough to have a review copy of this book sent to me.